In this single-player action game, you take on the role of the iconic Lara Croft as she truly becomes the Tomb Raider. Shadow of the Tomb Raider is the final and darkest chapter in the trilogy of the Lara Croft origin story. 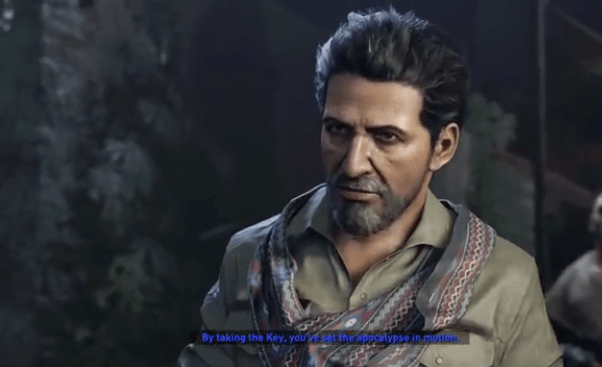 Taking place two months after the previous game, Rise of the Tomb Raider, the lengthy opening sequence is quite cinematic as we see Lara and Jonah following Dr. Dominguez while trying to stop Trinity. That leads Lara to a cave where she finds a Maya puzzle, and when she solves it an ancient looking dagger is revealed. On a split second decision, Lara takes it and when the cave starts to fall apart you hear her say “What have I done?”. When Dr. Dominguez captures her and sees that she has the dagger but not the silver box, he tells her she has started devastating apocalyptic events. 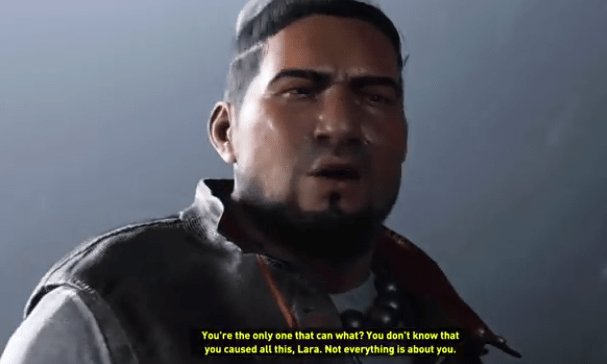 I think what the lead writer Jill Murray said in the Shadow of the Tomb Raider panel at the Tribeca Film Festival sums up the game perfectly. The small communities you come upon are now more inhabited, so you can talk to non-player characters and hear their stories. Lara has more weapons to choose from in her arsenal, the bow and arrow remain my favorite. What impressed me the most was the stealth and hiding ability Lara has in this game, it was easy to forget where she was. You also get to see more of the friendship between Lara and Jonah. There was a lot of underwater moments and with the lighting, I found it a bit difficult to navigate around. The Lara Croft of this game was more of a soldier and had more of a Rambo feeling with all the violence. At times you feel as though you are the person you are trying to stop because of her ego. Overall, I did enjoy the game even though it is not my favorite in the series. The game is available to play on PS4, Xbox One and PC. It is rated Mature for the intense violence, language blood and gore. What are your thoughts on the game? Check out the trailer for Shadow of the Tomb Raider below! Jensen Ackles, Gil McKinney, Matt Cohen, Kim Rhodes & More Appear on Louden Swain’s Live Album!